The INTEGREX i-500 V Multi-Tasking machine brings together extreme versatility, speed, accuracy and ease of operation for manufacturers of medium and large sized complex components. 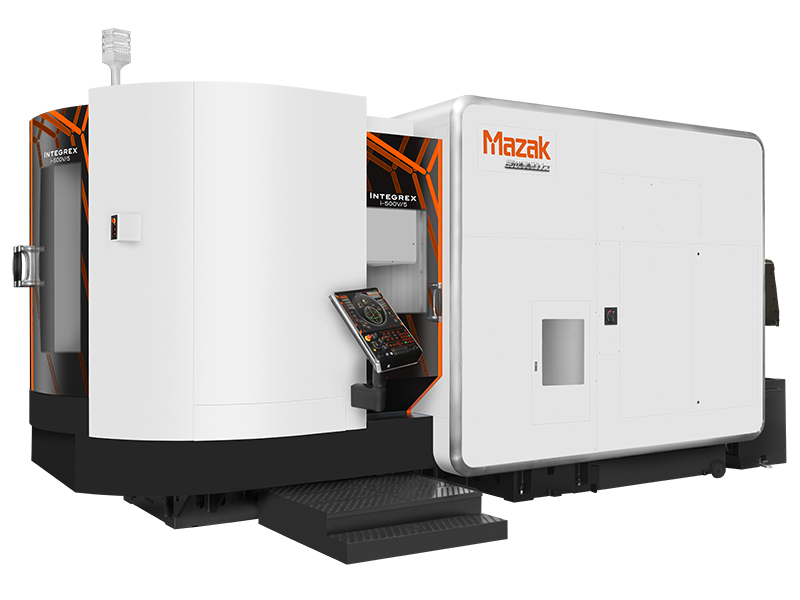 The machine is a fusion of CNC turning center and machining center for full 5-axis machining and Done-In-One processing with powerful turning capability. This machine configuration works to eliminate multiple setups, fixtures, tools, handling and non-cut time.